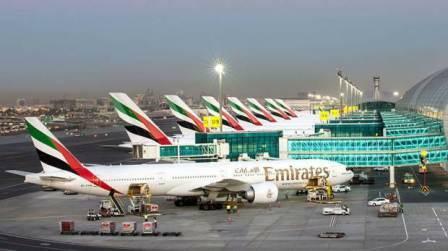 The first and business class travelers will not need passports to get through Dubai International Airports Now. The General Directorate of Residency and Foreigners Affairs (GDRFA) in Dubai flung the pilot phase of Smart Tunnel at Dubai Airports' Terminal 3 to qualify customers to finish passport control measures in 15 seconds, On Wednesday. All travelers have to do is simply walk through the biometric gratitude system without having to stamp their passports. The shaft works on face gratitude technology and the passenger can finish entry process within 15 seconds without the need for human interference. Major-General Mohammad Ahmad Al Merri, director of GDRFA, said the project is in its experimental phase until it's officially hurled by His Highness Sheikh Mohammed bin Rashid Al Maktoum, Vice-President and Prime Minister of UAE and Leader of Dubai. Additionally, he said that the project considered the first of its kind in the world was tested before being introduced at the airport. Al Merri established that more smart projects are ahead to be implemented to improve fast and smart traveling experience.